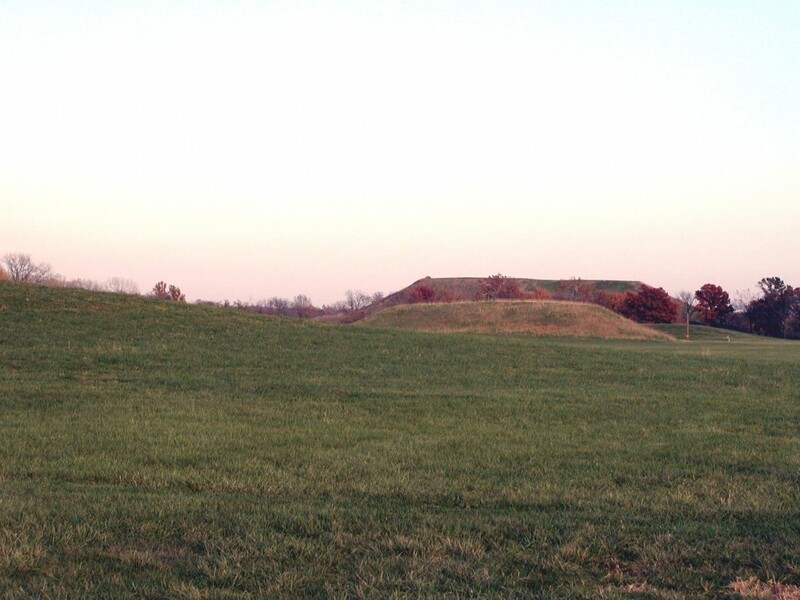 This mound is directly west of the south half of the Monks Mound. Approximately 100 meters (328.1 feet) separates them. Mound 41 is unusual in that its contemporary height is greater than the height given in some of the earlier records. McAdams indicates that it had a height of 15 feet (4.6 meters) whereas Moorehead suggests a height of 25 feet (7.6 meters). These discrepancies, however, can probably be attributed to lack of engineering skill on the part of both of these observers. Though the 128-meter contour of Mound 41 is blurred today, it is possible that there is a small mound directly north of Mound 41. Moorehead’s 1923 and 1929 maps and the Ramey Map are the only maps indicating two small mounds between 39 and 41; one of these is Mound 40, the other may be a mound no longer discernible (see Mound 40 discussion). There is some evidence that Mound 41 is “the true Monks Mound,” the mound on which the Trappist monks built the majority of their dwellings during their residency in the area. However, Bushnell claims that Mound 48 to the south was the primary residence of the monks. Some earlier writers who actually observed the site while the monks were there contradict this view. There is no indication of any archaeological excavations having taken place on this mound. In summary, Mound 42 is a large, rectangular-to square platform mound that is relatively unchanged from its original form and shape. It may also have been the site of buildings constructed by the Trappist monks who occupied the area in the early nineteenth century.